Scholar, editor, and literary historian Steven Moore (b. 1951) has gained notoriety as the preeminent explicator of William Gaddis’s fiction with his books A Reader's Guide to William Gaddis's The Recognitions (1982; rev. 1995), William Gaddis (a critical study published in 1989), and The Letters of William Gaddis (2013), which Moore edited. A tireless champion of maximalist and so-called “experimental” fiction, Moore worked for Dalkey Archive Press and The Review of Contemporary Fiction from 1988 until 1996, helping to publish and edit the work of David Markson, Joseph McElroy, Rikki Ducornet, Alexander Theroux, and David Foster Wallace, among many others. After leaving the Press, Moore joined Borders Books and Music as a clerk in a Colorado store, then worked as a book buyer at their Ann Arbor headquarters until 2010. In 2004, Moore embarked on the ambitious, multi-volume The Novel: An Alternative History, the second volume of which was released this past summer. The project, nearly a decade in the making, is as much an effort to reconceptualize the contemporary definition of the novel form as it is an attempt to revolutionize the manner in which we discuss fiction. On a hiatus from writing—though he does talk about possibly updating his 1989 Gaddis study—Moore, now a freelance indexer for university presses, reflects on his own early development and the project that has changed his life. This interview was conducted by fiction writer and literary critic Jeff Bursey, who recently reviewed The Novel: An Alternative History, Volume Two. Jeff Bursey: What brought you to literature, specifically the kind of fiction you favor? Steven Moore: Rock music brought me here, specifically the imagistic lyrics I listened to as a teenager in the 1960s by the likes of Bob Dylan, Procol Harum’s Keith Reid, the Incredible String Band… Someone reviewing the Incredible String Band compared their lyrics to Swinburne’s poetry, which I looked up in an anthology my father happened to own, and I developed a love for the artful use of language. In college, when I turned from poetry and Shakespeare to prose, that was the quality I looked for in fiction. I never took an interest in the minimalist style of Hemingway and his followers and gravitated instead toward the maximalist prose of Joyce, Faulkner, Proust, et al. My tastes in rock music had been avant-gardish, the stuff you never heard on the radio, so when I began reading fiction I gravitated toward similarly unconventional things like Burroughs’s Soft Machine (from which one of my favorite bands took their name), Richard Brautigan’s quirky writings, Pynchon’s The Crying of Lot 49 (the cover of the Bantam paperback I read looked like a groovy rock poster). It was a natural, easy step from alternative music to alternative fiction. The Who boasted that they played “maximum R&B,” so “maximalist” fiction is as good a name as any for what I love reading. JB: When you found those first works, did life open up in some Romantic way? Did life suddenly make philosophical sense? SM: Oh sure, which I’m guessing is the case for most young readers. Novels unveiled new worlds and attitudes, not only the countercultural novels mentioned above but the ultra-sophisticated world of Proust (whom I read while still an undergraduate), the eldritch world of H. P. Lovecraft (another writer I discovered because a band had named themselves after him), the magical world of The Arabian Nights, and so forth. They all confirmed my suspicion that conventional suburban life was provincial and small-minded, and encouraged the nonconformity that had already become my way of life. SM: Yes, I was born and raised in a suburb of Los Angeles, then moved to a suburb of Denver when I was twelve. Mine was a typical middle-class family, but not an artistic or intellectual one. (Neither of my parents went to college.) 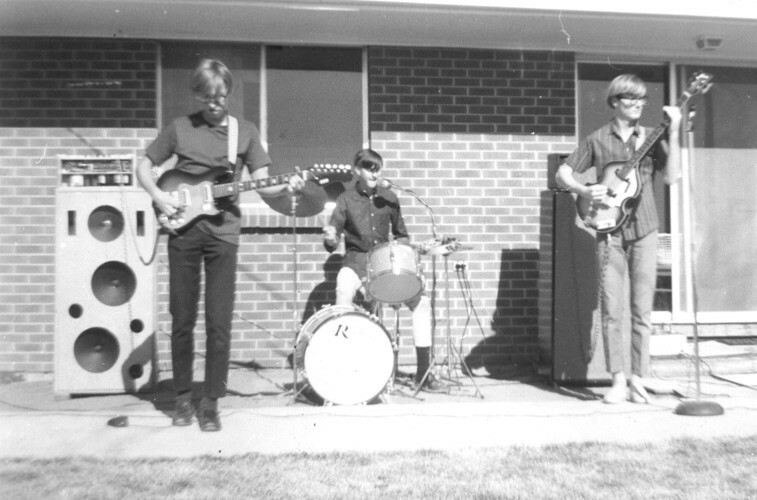 My father took a dim view of the rock music I liked and played—like most parents back then—and later couldn’t really relate to my interest in literature. His “library” was a random collection of books, many bought at flea markets, and he had eclectic tastes: Breasted’s classic book on ancient Egypt, pulp sci-fi novels. We both liked Saki, and later P. G. Wodehouse, but had little else in common. Neither my younger brother nor my sister went to college either, so I was the oddball of the family and I had to seek out friends who shared my unconventional interests, first in music and then in literature. JB: Ballet and opera, classical music and pop, painting and such, mean a lot to you. I imagine they keep you alert to resonances, elucidate the texts you write about, and get you out of your study? SM: That’s right. From rock music I expanded to take an interest in jazz, opera (Joyce got me to listen to Wagner), classical (the rock group The Nice got me to listen to Bach, Proust introduced me to late nineteenth-century French romanticism), etc. In 1974, a guy I was in an ELP-type band with introduced me to ballet. (But I never got into film that much, which is usually big with literary critics.) These are called “the performing arts,” which led to my belief that writers are essentially performers, showing off their linguistic skills, more than anything else. JB: You were in a band? SM: I started off in a garage-rock band, doing covers of songs by the Kinks, the Yardbirds, Shadows of Knight, et al., and then—as my listening expanded—drifted into what is now called progressive rock and started writing my own songs. 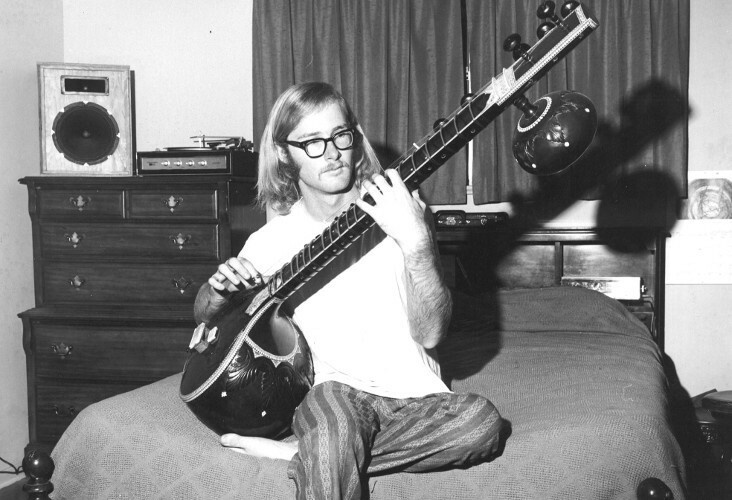 I began with electric guitar, switched to bass when I realized it was easier and more unique (everyone had a guitar), and then I studied flute while still in high school, then took up keyboards, drums, mandolin, soprano sax, concertina, violin, Irish harp… In college I played bass fiddle in an acoustic band modeled on Pentangle, in which I also played sitar (a used one bought from a hippie who needed money for drugs). Later I took up the bagpipes, much to the consternation of my cat, which would flee under the couch every time I cranked them up. Nowadays all I have is a Gibson acoustic/electric, the same model John Lennon played (J160E). JB: If you could write liner notes for a new release by a living musician or musicians, who would that be? SM: Probably either Terry Riley or Robert Wyatt, both of whom first captured my attention in the 1960s; both are unconventional, noncommercial musicians who have followed their own muses and are models for true artists in any field. JB: Do the works you mentioned above—jazz, opera—provide you with the same feeling as a good, long novel? SM: Yes, mostly because of their immediacy and appeal to the senses. Songs, ballets, and operas can be experienced and enjoyed within a short timespan, whereas novels—especially the long ones I prefer—take their time and appeal more to the intellect. JB: In the first volume of The Novel, An Alternative History, you are combative with certain critics. What critics are worth reading today? Is there such a thing as a “critical culture” in the States, in England, or generally? SM: I don’t read the critics you probably have in mind. When I was writing (in volume two) about Richardson’s Clarissa, I read Terry Eagleton’s book on it, but I haven’t read his other books. I tend to read specific books and essays about specific authors, not general books on literature or lit theory. Another way of putting it is that I’m interested in scholars, not critics. The bibliographies in my two volumes have lots of specific studies like The English Jacobin Novel, 1780–1805, but no Derrida, de Man, Jameson, Lacan, no Eagleton beyond his Clarissa monograph, and so on. There’s a “critical culture” in every civilization, but I spend more time down in the weeds with the scholars and bibliographers than up in the airy regions where critics take an overview of culture. I’d rather read fiction than criticism any day. In grad school plenty of the PhD candidates knew all the latest critics but read few novels outside the canon, especially current fiction. I went in the opposite direction. JB: Despite the advocacy and the battle of the books in the opening of the first volume, you write with the ease of a man of letters. Do you consider the approach you took, and the concept of the book itself, old-fashioned or traditional in form, while also being disruptive of the consensus found in survey courses of where and when the novel began? Was it deliberately old-fashioned? SM: Yes, I definitely approached my book the way men of letters like George Saintsbury did a century ago, who wrote for a wide educated audience, not a narrow academic one. I had gravitated toward a “pop” style by the time I began: Although my first publications were issued by university presses and scholarly journals, from about 1990 onward I began reviewing books in mainstream newspapers like the Washington Post and the Chicago Tribune, where a more casual, nonacademic tone is required, and I came to prefer that tone over the academic one. I wanted to write something more along the lines of Jane Smiley’s Thirteen Ways of Looking at the Novel than something the University of Minnesota Press would publish. The book is probably more academic than I intended it to be (in-line page references, footnotes, etc. ), but I really wanted it to be a book that anyone with a high-school education could read. JB: Two volumes of immense learning about the history of the novel, the Gaddis letters, the guide to The Recognitions, the study on Gaddis from some years ago: these things are what you're best known for today. You're in your early sixties. There's no coy way to ask this, so I'll just go ahead, with apologies if it sounds macabre: Are they what you want to be remembered for, if something were to happen tomorrow? SM: I’m proud to have brought Gaddis the critical attention he deserved, or at least hastened it, but I’m proudest of this two-volume history of the novel. There was a real need for it, and I’m sure it will outlast me, notwithstanding its (deliberate) eccentricity. It was so enjoyable to write because I gave myself permission to have fun with the project—and was lucky enough to find an editor (a great guy named Haaris Naqvi) who appreciated, or at least tolerated, that approach. JB: How long did you spend doing research for the two volumes of The Novel: An Alternative History? SM: I researched as I went along. All the reading I had done before that prepared the ground, obviously. I wrote volume one between March 2004 to August 2007, and volume two (after a week’s break) between September 2007 and July 2012. Eight and a half years altogether. I had a full-time job between 2004 and 2010, plus edited the Gaddis letters and wrote a number of book reviews during those years, so I’m not sure how I managed to complete both in that amount of time. JB: How did you write them? Longhand, computer, at home, in a library? When you start out writing, whatever it may be, what's gone on before that process, or do you sit at the desk and think about things from that point on? Looking at the organization of and reading apparent in both Novel books, one would think there's be outlining and sketching well ahead of time. How much of that is there, and where does the spontaneity occur? SM: To say I made it up as I went along sounds irresponsible, but that’s pretty much how I wrote. I had a vague idea of what was out there before I began, but once I started, I worked up a basic reading list for each new section, beginning with reference books and moving up to more specialized studies. (I was lucky enough to have access to the University of Michigan’s library, which has everything.) As I was reading and writing, I would learn more about that period, which usually expanded the reading list and sometimes entailed making revisions and insertions to what I had already written, and by the time I was through with a section, I felt I had a pretty good working knowledge of that particular period. Then I started the process over with the next section. If, as some scholars do, I had spent a few years planning and outlining the book before writing, I probably would have been scared off by the immensity of the project, so it’s better that I did it my haphazard way. As far as my actual working methods go, I would take notes in longhand as I was reading, sometimes write random sentences that I planned to use and mulling over what I should say about the novel. When I finished, I would look over the notes, and then begin writing, again in longhand, revising as I went along. After a few pages (and a few hours), when I ran out of steam, I would type up what I had written on the word processor, making further changes as I went along, print it out—I’m old-fashioned enough that I need to see what I’ve written on paper—and then would make further changes. I rarely changed the substance of what I first wrote, but I did lots of revising of syntax and diction, trying to get it to read as smoothly as possible. I work quickly, a process I picked up from my book-reviewing days when I often had a tight deadline, so I would rarely spend more than a day writing on most of the novels I cover, though obviously the longer, more important ones (Don Quixote, A Dream of Red Mansions) would take a few days longer. All of this was done at home; I’m not the type who writes in libraries or cafes. JB: Would you ever be drawn to do a third volume, say, 1801–1901? Or is that an impossible thing to ask? SM: “All passion spent,” as Milton says. After completing volume two, I felt like I had completed a decathlon: totally exhausted, both physically and mentally, which is the main reason I decided not to continue. I also realized I had bitten off more than I could chew: when I began, I didn’t know what I was letting myself in for—“fools rush in…” etc.—and both volumes were considerably longer than I anticipated. But I have a clear idea of what a third volume would entail, and it’s overwhelming. It would mean at least another five years of daily, concentrated work, and I just don’t feel up to it. (There are mundane, personal reasons as well: my typing is deteriorating, concentration shortening, mind wandering, confidence drooping, memory fading…) In fact, I’ve lost interest in writing criticism in general, except for the occasional book review. Even a shorter book on 1800–1900 or on contemporary fiction doesn’t appeal to me. I overdosed on writing, and want to stay in rehab from here on out. Besides, I feel I’ve defended my original thesis: i.e., that experimental fiction is not a twentieth-century “aberration” but has always existed. It’s the pre-1800 period that needed exposure, especially the Near Eastern and Far Eastern sections of my books, of which I am particularly proud, but which I suspect many of my readers skip! 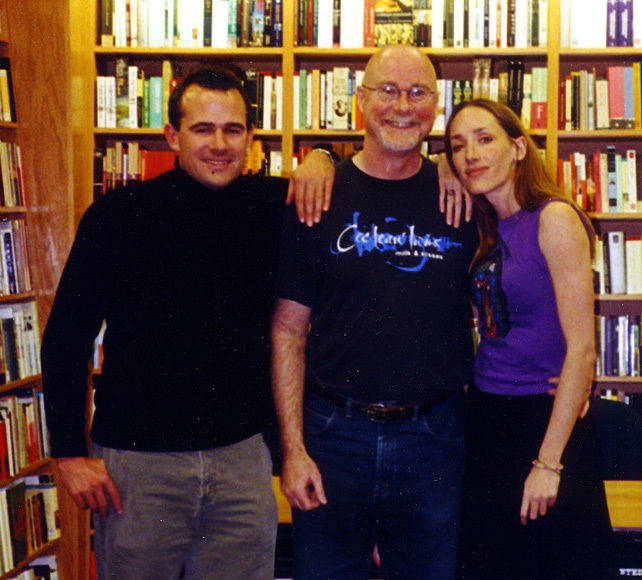 With Mark Z. Danielewski, and his sister the singer Poe, 2000. JB: Not even something short on twenty-first–century fiction? Is there someone else you would like to focus on now? Is there a new crop of writers you have an interest in? SM: I didn’t have time to keep up with new fiction while writing about older fiction, and so I’m woefully ignorant of the recent wave of younger writers. I’ve been impressed by the fiction of Joshua Cohen, Sergio De La Pava, and Arthur Phillips. I was knocked out by A Questionable Shape by Bennett Sims, whom I will be keeping an eye on. Over the last year and a half I’ve been catching up a little with recent fiction, but I no longer feel professionally obligated to stay on top of it the way I used to. JB: Do you think that you’ve provided a good rebuttal in The Novel: An Alternative History to traditional critics who dislike innovation? Have these two books attracted others to your way of thinking? SM: I may feel that I’ve provided a good rebuttal, but some conservative reviewers have butted back, though in dodgy, turf-protecting ways. Some claim I’m applying the term “novel” to anything I want to, whereas I take pains to point out not only that my definition of a novel is the same as Noah Webster’s—simply a “fictitious tale or narrative in prose, intended to exhibit the operation of the passions, and particularly of love,” while the current Merriam-Webster dictionary defines it as “a long written story usually about imaginary characters and events”—but that other literary historians denominated things like the Icelandic sagas and the Zohar as novels long before I came along. More importantly, recent developments in the novel necessitate as broad a definition as possible, which is obvious to Webster’s editors but not to traditional critics, whose familiarity with experimental fiction and noncanonical (and non-Western) works is probably vague. At the same time, ever since volume one, I’ve been getting emails from people saying how much they like my approach because it validates their own views in a way previous books (or schooling) didn’t. A specialist in Chinese literature told me my account of the rise of the Chinese novel was the best non­-specialist account he’d ever read, which delighted me because that’s exactly what I was aiming at. (I don’t pretend to be an expert in any of these pre-modern areas.) The most gratifying emails of all have come from innovative novelists, who tell me that I “get” them and encourage them to pursue their unconventional methods. JB: There is a wealth of learning in these two books, and in your other works dealing with more recent writers: Gaddis, Chandler Brossard, Ronald Firbank. Has your own reading given you the kind of education you would recommend for others? SM: I would certainly advise literature lovers to read widely; as I say at the conclusion of the introduction to volume one, beyond the canon of classics “there’s a whole other world of novels out there most people never even hear of, much less read.” Recreational readers can read (or not read) whatever they like; critics, however, had better read widely before making any pronouncements about what a novel is, or should be. This may sound arrogant, but unless you’ve read as widely as I have—from ancient Greek novels to the latest postmodern experiments—you’re not qualified to define the novel or say anything definitive about the genre. I hope I’ve made that easier now; just reading these two volumes will immediately give critics a sense of the incredible breadth of the genre. JB: What’s helping you recuperate? Do you see yourself as permanently altered by the efforts of the last nine years? SM: You tell me: Yesterday, I continued reading an avant-garde novel published by a small press earlier this year; interrupted that to read Bryan Garner’s new interview-book on David Foster Wallace, Quack This Way, which arrived in yesterday’s mail; listened to two CDs by the early-1990s shoegazer group loveliescrushing; watched a DVD of Uwe Scholz’s choreography of Stravinsky’s Rite of Spring (fabulous, one of the best I’ve seen) plus a documentary about him; spent about three hours watching recreational TV (The Colbert Report, The Daily Show, Modern Family, Brooklyn Nine-Nine, New Girl); then read myself to sleep with that avant-garde novel. JB: What country or time seemed to promise the most and deliver the least, or the opposite, in terms of enduring literary quality? SM: Japan. From about 970 to 1370, they were on fire, producing some of the most sophisticated novels ever written. Then the culture changed, and hardly anything of note was written until the twentieth century. JB: There’s a lot of talk in your two volumes about the frustration you feel over books not being translated, or only partially, or badly. How can those gaps be addressed? SM: Translations are a hard sell. They are harder to produce, because a publisher has to pay the translator as well as the author (or whoever holds the rights); harder to edit because, unless an editor can read the original, one never knows if the translation is accurate; harder to market, for many book-review editors are reluctant to assign them for review, and book-store owners are reluctant to stock them—both parties regarding literary translations as a specialized interest—and consequently harder to make a profit on (or even cover a publisher’s costs), because the audience for them is small. Presses that specialize in translations can sometimes get subsidies from foreign countries’ ministries of culture, but aside from that, I don’t know what can be done. As much as I would love to see a modern translation of, say, Antoine Furetière’s Bourgeois Romance (1666), I’d have a hard time convincing any publisher to do so, or justifying the expense. Ideally there would be a United Nations-funded publishing house in the US (or Canada or the UK) devoted to publishing English translations of all member-nations’ best, most innovative novels from the past, regardless of commercial potential, but that will never happen. JB: We're surrounded by brief sketches, flash fiction, tweeting, online articles, blogs, and ebooks. As The Novel volumes grew in size, I wonder what you thought regarding their reception by publishers. Did you ever ask yourself: Who will put this out? And further, who will read this? SM: That’s funny, because that’s exactly what David Markson kept asking me as he read volume one in manuscript. (I sent him each chapter as I finished.) He said he loved it, but he expressed the same concerns. But I didn’t let them worry me—I was having too much fun writing it, especially volume one—and I figured someone would be willing to take it on. At times I did feel less like a critic than a museum curator assembling a bizarre assortment of dusty relics of literature. I also felt this was a last chance to rescue many of these novels from slipping into oblivion, especially given the growing preference, as you note, for shorter and shorter forms of writing. Despite what I said earlier about writing for a general audience, I did realize that only book nerds like myself would find the book appealing. I consciously wrote the kind of book that would have appealed to the person I was in my mid-twenties, after I had read most of the standard classics and wanted to go off the beaten path of fiction. It’s largely because such a book didn’t exist—back in the 1970s nor in the early 2000s—that I undertook the project. JB: You’d made your name for your Gaddis criticism, for getting David Markson published, and in the general press for reviews. But these two works are on a different scale altogether, and about a genre, if some commentators are to be believed, that's less and less popular. How did these books come to be published? SM: I knew Paul Slovak at Viking slightly, and told him about it when I was about halfway through. There was nothing like it currently available, and he expressed interest, even before I finished it in 2007. Around the same time, in my professional capacity as a buyer for Borders, I ran into a few other editors (for Houghton, Mifflin and Harcourt, Brace) who were also interested. But they all flaked out on me: Paul kept putting off making a decision—in fact, to this day he has not formally declined it or returned the manuscript—and the other editors lost their jobs a few months later and never got back to me. Then, while still waiting for Slovak to decide, I approached W. W. Norton and a few university presses (Chicago, Yale, Harvard), but no dice there either. That’s when I started to get worried, and just then a sales rep for Continuum told me I should send it to an editor from England, Haaris Naqvi, who had recently transferred to Continuum’s NY office. That did the trick. Haaris liked it a lot, and got the editorial board to sign off on it (after initial resistance, I later learned). A few months after volume one was published, he offered a contract for volume two, which of course I accepted. (In fact, right after volume two came out he asked me about the possibility of a volume three.) I am so deeply indebted to Haaris, for had he turned me down, I don’t know what I would have done. Publish volume one online, perhaps, and maybe would have abandoned writing volume two. JB: During the years of writing, did you talk about your work with other writers, apart from Markson, maybe for their input, or for assurance that what you were doing needed to be done? Or were you, as you seem to suggest, resolutely on your own, surrounded by books in a library? SM: I mentioned my project to a few writers, like Markson and the novelist Thomas McGonigle, but I was confident enough in what I was doing that I didn’t seek their input or assurance. You may have noticed there’s no acknowledgment page in volume one: it was pretty much a one-man operation, though in retrospect I should have thanked all the publishing sales reps who sent me free books that I requested, including some expensive academic monographs: that was one of the great perks of working for Borders, and I saved thousands of dollars that way. JB: One of the most striking features of The Novel history’s first volume is its combative introduction, an aggressive attack on Dale Peck, Jonathan Franzen, and B. R. Myers. (It’s oddly absent from the second volume.) Is part of your anger there, which occasionally flares in the text and footnotes of volume two, not just aesthetic but political, considering the temperament of your country this last number of years? Is there a literary Tea Party you want to fight? SM: Yes, the conservative reaction against innovative novelists is way out of proportion to their influence or book sales. For every one budding writer who decides to follow in the footsteps of John Barth, there are a hundred who follow Alice Munro—and the latter are more likely to get published. There’s probably some resentment from mainstream writers that the radical writers sometimes win the big awards—Gaddis, for example, won the National Book Award twice, and the Nobel Prize in literature sometimes goes to offbeat writers—and jealousy that critical essays and dissertations tend to be written about them. But yes, there’s always been a connection between political conservatism and opposition to nonmainstream art. The most notorious example is the Nazis’ suppression of what they called “degenerative art,” but I saw something on a much smaller scale (and with less serious results, of course) after Bush stole the 2000 election. Peck, Franzen, and Myers wrote their attacks on innovative writers in 2001 and 2002, followed by others around the same time who seemed enabled by the conservative movement to finally admit they thought Ulysses was a lousy book, and that was the “Tea Party” I was reacting against when I wrote that pugnacious introduction. Political conservatism’s alignment with the religious right is one reason I’m so hard on religion in both volumes. Historically, religion has always been the staunchest foe of iconoclastic writing. JB: Since there’s no way to convince you to write a third volume, would you mind filling that gap by saying a few words about some nineteenth-century novels or writers who you admire? SM: Well, the original plan was to write a third volume that would go from 1800 to the present, which is why it is so daunting. Even though I’m fairly well-versed in twentieth-century literature, I’d have to reread so much of it, not to mention all the stuff I haven’t read. Then I thought maybe I could cut it off at 1922, the year Ulysses was published and when, according to some critics (like Peck), the avant-garde novel derailed the great tradition of Austen, Eliot, James, Conrad, et al. Regarding nineteenth-century fiction, I had looked forward to making a case for Alice in Wonderland as a proto-surrealistic novel, and planned to categorize as novels several philosophical works like Nietzsche’s Thus Spoke Zarathustra, Carlyle’s Sartor Resartus, and some of Kierkegaard’s works. There are some oddball novels I wanted to write about, like Hoffmann’s Tomcat Murr (which I’ve read) and Robert Southey’s The Doctor (which I haven’t), novels by Thomas Love Peacock and George Meredith, the first Yiddish novel (Joseph Perl’s Revealer of Secrets), and the Book of Mormon (as a religious novel). There’s a critifiction (a novel about novels) by Sarah Green (1790-1825) entitled Romance Readers and Romance Writers (1810) that sounds like something Gilbert Sorrentino would have written. There’s Han Bangqing’s Sing-song Girls of Shanghai (1894), which was recently reprinted in a revised translation, and all sorts of other odds and ends. I have a folder of notes I compiled while working on the first two volumes, recording things like the first major Finnish novel (Aleksis Kivi’s Seven Brothers, 1870) and Lizardi’s The Itching Parrot (1816), reportedly the first novel written in Latin America (and later translated by Katherine Anne Porter!). A Hawaiian novel published in 1862-63 called Lā’ieikawai… I’ll be happy to turn my notes over to anyone who wants to write that third volume. SM: Yep, you’ve got my number. Ever since high school I’ve been a loner, an iconoclast, an eccentric, an atheist, a dreamer, and hence I’ve always gravitated toward nonmainstream, countercultural works, most of which I’ve discovered on my own. Nonmainstream artworks usually express untraditional, iconoclastic views—political, sociological, sexual, religious—which is why I find them more interesting and appealing. There may be some innovative, eccentric novels that express conservative views, but I can’t think of many, beyond those of Alexander Theroux. That attitude has shaped my writing career as well: the first critical article I published (just a note, actually) was on Finnegans Wake, the most eccentric, iconoclastic novel ever written. I was a Joyce fanatic back then (mid-1970s) and already at work on what would have been a multivolume glossary to the Finnegans Wake. I abandoned it after I stumbled upon Gaddis in 1975, partly because the Joyce project would take fifteen years and might prove unpublishable, but mostly because I’d rather be the first person to write a book on Gaddis rather than the hundred-and-first person to write a book on Joyce. And for the next two decades I focused on little-known writers like Theroux, Markson, Firbank, Brossard, W. M. Spackman, and didn’t bother with the more famous writers of our time (unless commissioned to review their latest). The Novel: An Alternative History entailed grappling with world-famous works like The Arabian Nights and Tom Jones—which was fine by me: there’s usually a good reason why the classics are considered classics—but even there I favored the unusual, the offbeat, the downright weird, just as I did when scouring the record stores back in high school. In that sense, I’ve never grown up.